From an optimist's standpoint, Monday's indictments might indicate that we are on the verge of understanding what the Russian intelligence services did, or tried to do, during the 2016 election. We know now that Special Counsel Robert Mueller's team has been able to identify one point of contact between Moscow and the Trump campaign in George Papadopolous, who was flipped over the summer to become a government informant. But the truth is, we're probably never going to know, fully and exactly, what the Russians were up to. That's just the nature of espionage, which John Le Carré memorably defined as the secret theatre of our society. Important things are never written down. Documents can be destroyed. People in the know can disappear. We all get lost in what James Jesus Angleton, when he ran counterintelligence for the CIA, called the wilderness of mirrors. And even if Mueller and company come out with a perfectly logical conclusion as to what happened, it's worth remembering that some people will never accept it, first among them the president. Donald Trump has repeatedly dismissed the investigation as a witch hunt, which is what the Russians also happen to call it, and will do everything he can to cast doubt on findings that link his campaign to a foreign influence operation. Those doubts will in turn resonate, perhaps for decades, in the minds of his many millions of supporters. This is not to say that Mueller's investigation isn't worthwhile; it's obviously necessary and important work. But anyone expecting this to end as Watergate did, with a president tacitly admitting guilt and shuffling aside, is likely in for a disappointment. The internet joke is that the 2016 election will never end. It's something we'll just keep relitigating for the foreseeable future, or perhaps forever, particularly when it comes to Russian involvement. And it should be noted that this was likely by design, as Russian intelligence has a long history of boosting conspiracy theories in the U.S. The Kremlin's agenda here isn't to convince all Americans that the sky is orange, but rather to convince some number that it is orange, and others that it is yellow, and others that it is purple. Once that is done, they want all those groups to fight about it. The KGB even promoted the idea that the CIA was responsible for the JFK assassination, and in a sense the aftermath of that tragedy, and the conspiracy theories that stemmed from it, is a better metaphor for the 2016 election than Watergate. The latest document dump on the 1963 assassination did not tell us much of anything that historians did not already know, so the questions about what happened that day in Dallas linger on, and probably always will. We can say confidently that Lee Harvey Oswald was the shooter, but we'll never be certain about whether he thought he was working for someone, whether others were involved, and in what way. And so it goes with the Russians and 2016. U.S. intelligence agencies have determined that Russia deployed various active measures, including hacking, to influence the election for Trump's benefit. Still, we do not know, and perhaps never will, whether Trump or his team were really in cahoots with Moscow. And should the evidence presented to the public ever establish collusion beyond a shadow of a doubt, there would still be those who never believe this official story, just as there are still people who can't bring themselves to the conclusion that it was only Oswald firing the shots. Strangely enough, two of the most prominent JFK conspiracy theorists in America – Alex Jones and Roger Stone -- were also early Trump boosters. 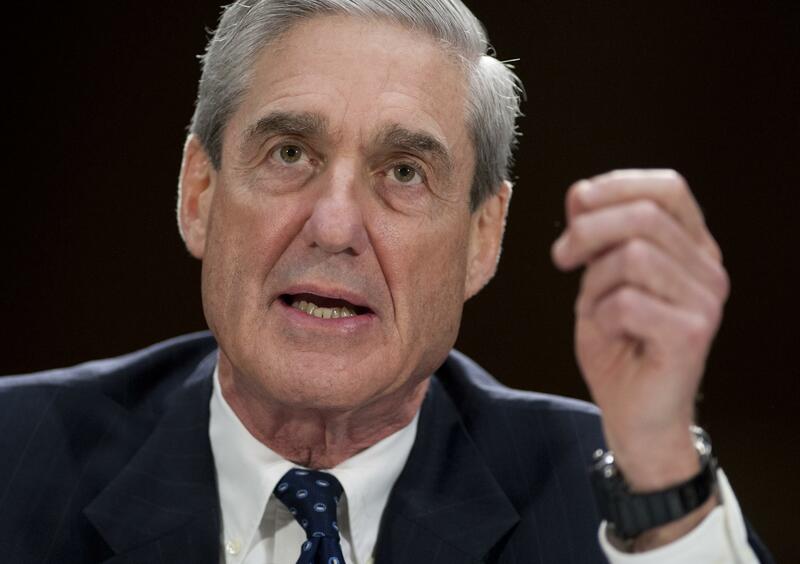 Do voters care about the Mueller investigation? And all this originates in part from the broader epistemological crisis in this country, which both Trump and the Russians have exploited with ease. Political debates in our country often appear as if they're occurring on parallel timelines, with people talking past each other and working from completely different sets of facts. And so depending on what channel you're watching at any given moment, or reading on the internet, you might think that the only Russian collusion scandal was one in which Hillary Clinton was compromised, and that any links between Trump and Moscow are just the invention of the Deep State and its allies in the mainstream press. There is nothing Mueller can unearth that will change this sad reality. There are some things we will never know about what happened in 2016, and there's likely a lot that when made public people will simply not believe. Even if the Mueller investigation somehow ends in Trump's impeachment, we know that he will never admit guilt or misfeasance, and that many if not most of his supporters will see his removal from office as nothing less than a coup. Perhaps public memory will eventually come to a workable consensus as to what the Russians did in 2016. But we shouldn't let the indictments fool us into thinking that that will happen anytime soon.